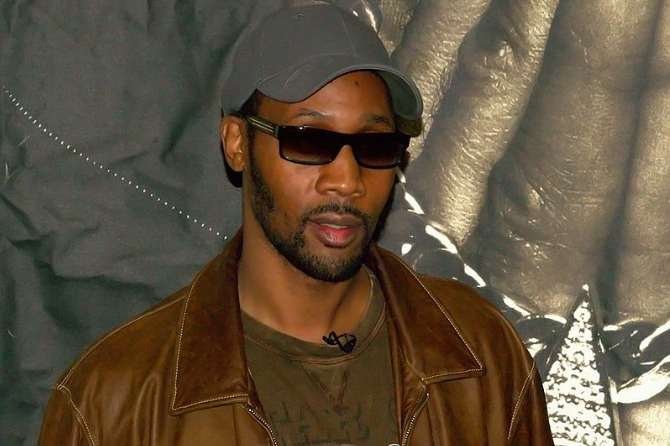 Robert Fitzgerald Diggs, also known as RZA, founded Staten Island-based Wu-Tang Clan in the early 1990's. The Atlantic City Vegan Food Festival is happening this weekend at the Showboat Hotel Atlantic City and it’s bringing Wu-Tang Clan’s, Robert F. Diggs, a/k/a RZA, along with it. RZA will be the keynote speaker at the event, speaking at 5 p.m. Saturday, July 14. RZA, who adopted a vegan diet in the late ‘90s, is taking his appreciation of veganism to Atlantic City. In a Vibe interview from July 2017, he says he started as a pescatarian. He started a contemporary and vegan clothing line, 36 Chambers, in January of 2018. But RZA isn’t the only notable speaker at this event. Runners at the event will know Scott Jurek, renowned ultramarathon champion and writer of Eat and Run: My Unlikely Journey to Marathon Greatness. Foodies will have heard of Bryant Terry, James Beard Leadership Award 2015 recipient and author of the critically acclaimed Vegan Soul Kitchen: Fresh, Healthy, and Creative African-American Cuisine. Other notable speakers include Erika J. Boyd, executive chef at Detroit Vegan Soul, and Lauren Ornelas, founder and director of the nonprofit Food Empowerment Project. For all the vegans and non-vegans out there, this event will feature more than 200 food and product vendors, live music, cooking demos, and there will even be a 5K, 10K, and a kids’ fun run in the morning. For tickets and more information, visit the Atlantic City Vegan Food Festival website. Add Virginia's RSS Feed to your feed reader.